Mexico won't make a separate trade deal with U.S.
You Are Here: Home > News > Mexico won’t make a separate trade deal with U.S.
Mexico won’t make a separate trade deal with U.S.
Mexico will not make an independent deal with the U.S.
Mexican officials made it clear to their Canadian partners not to take anything away from their trade negotiators and the Americans meeting bilaterally Friday (July 27) in Washington. The new government in Mexico City isn’t planning to make a separate deal with the United States outside of NAFTA. One of the biggest reasons for the conversations on Friday was to introduce the Mexican government to their American counterparts. Mexico’s Secretary of the Economy, Illdefonso Guajardo stated that. “The fact that this time we’re going to Washington for a bilateral is just a sequence of things.” He also said that the Canadian and American negotiating teams hold two-way talks, and that the bilateral on Friday is not a sign that Canada will be left out. Mexican officials maintain that any discussions on a two-way trade deal between the United States and Mexico are still imaginary. 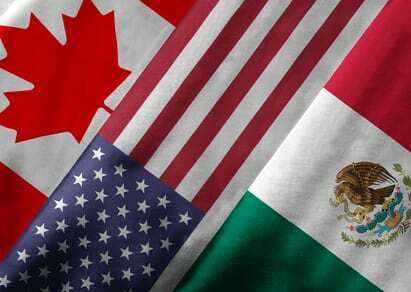 Mexico is not interested in a bilateral agreement Guajardo further stated.